The Pavilion at Jalan Bukit Bintang is fast gaining popularity not just amongst local Malaysians but also tourists who are keeping an eye out at Malaysia as their shopping and holiday destinations. Pavilion Kuala Lumpur hosts a myriad of brands that are known to the world and catches almost every one's attention. There is something for everyone here... The Pavilion shopping mall launched its name to the nation by organising a few fashion shows organised by the retail outlets here at their center stage catwalk. Pavilion also features a GRAND staircase that leads to the concourse level of this giant mall. 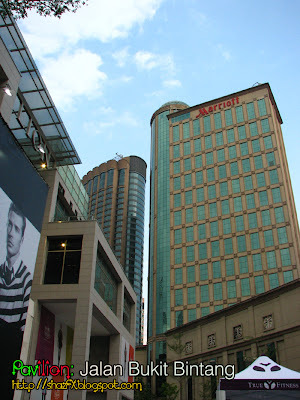 The front facade facing the side of the shopping mall, You can see the Marriott hotel clearly from this angle. 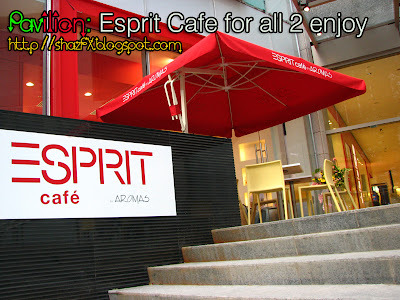 ESPRIT Cafe by Aromas. 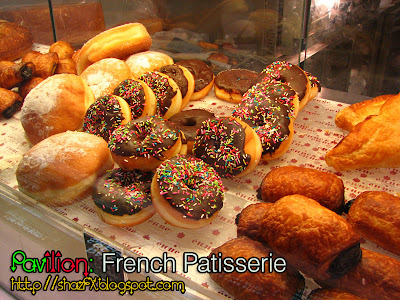 Please be informed, that this cafe outlet is NON Halal to our Muslim friends. 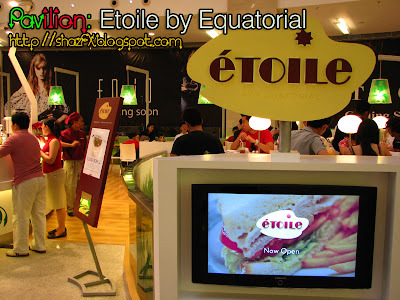 Etoile cafe by Equatorial Hotel is open on the first day, Kampachi by Equatorial is now OPENED! We were there on saturday and met up with the General Manager of Operations for Kampachi. And when i say BIG... i really do mean BIG!!! 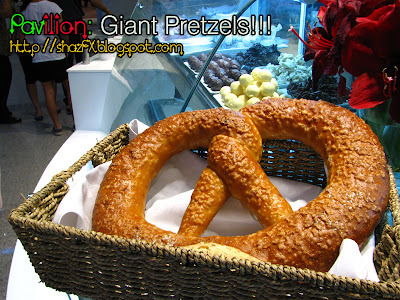 This Giant Pretzel is selling for RM20. 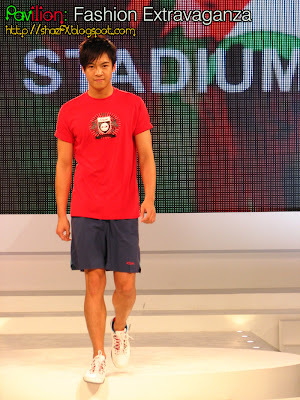 RBK - Reebok by Sports Stadium featuring some of the latest fashions in sports! Somehow RED is the color for this season... don't you think so? Style in Motion... this guy, i've seen him around at few fashion shows. Don't really think he has the right expression for these kinds of catwalks. Is this Charlie and his angels... oh well that's all for today! Keep on tuning back here for MORE!!! Tip of The Day: Now, being in Mass Communications is awesome, because when you graduate from Uni, there are alot of things that you can apply for. What i'm trying to say here is that, not necessarily when you graduate from Mass Comm, majoring in Film Television Broadcasting, Journalism or what that makes you have to become a radio DJ, or a journalist and so forth... there are many things you can do to become a successful person! Take for example, if you want to become a PR person organising a fashion show for a client, you may do so... you can get in touch with the respective agents and members of the media. It can be seen as tough at first. But don't sweat! It's going to be easy... Give it a try, don't be shy because you'll get no where! Just do IT!